People that frequent Sydney may know of Mamak in Chinatown, and it’s popularity over there has seemingly lead to Mamak opening down in Melbourne late last year. 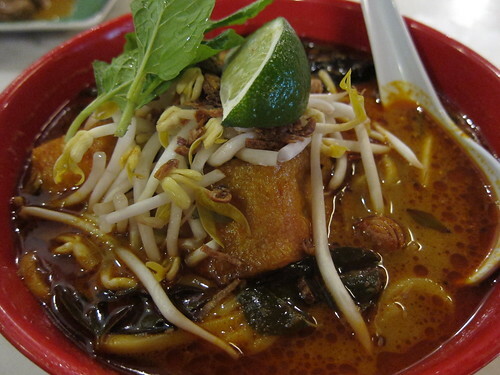 Serving Malaysian food and leaning towards a more Indian/Malaysian style cuisine, they don’t offer a large selection of food but what they do focus on, they do it well. 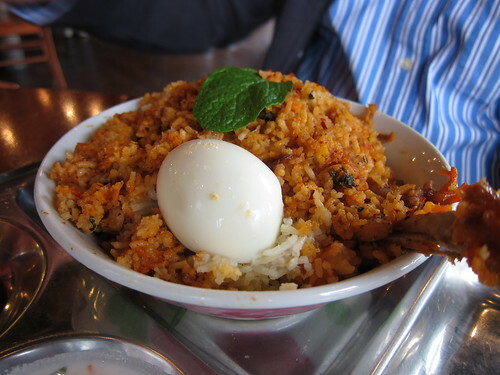 Mamak’s popularity also extends to Melbourne, having walked passed there even before it opened I saw a few groups of people waiting until it was officially opened. I don’t know if it’s that honeymoon period most places have but I have a feeling it’s probably not just due to that. 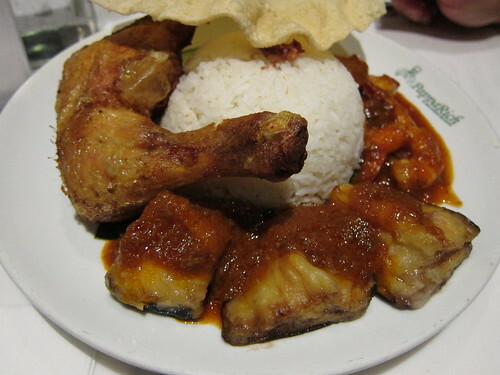 We ordered their Curry Chicken Nasi Lemak, almost a staple of Malaysian cuisine, side note, even the Air Asia’s Nasi Lemak isn’t that bad, all things considered (plain plane food) . 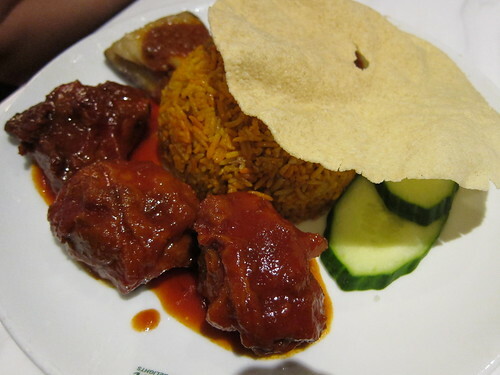 This is their only rice dish unless you order the mains but they do also offer a few different sides with the Nasi Lemak such as curry chicken, sambal prawns or friend chicken at varying price points. What was instantly pleasing was their sambal, it was spicy, sweet and basically just right. Their chicken wasn’t too bad either! It was cooked well, and the curry sauce didn’t have too many spices that some other restaurants seem to put. 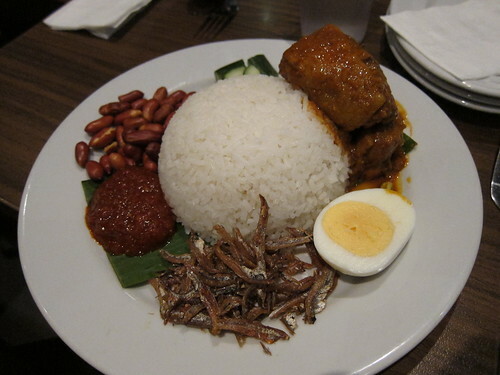 For the price though at $11.50 it definitely leans on the pricier side, Nasi Lemak tends to be under $10 due to it’s simple ingredients and easy to cook. I remember eating Nasi Lemak wrapped in banana leaves (smaller size) and with no meat in Malaysia for roughly $1 AUD. 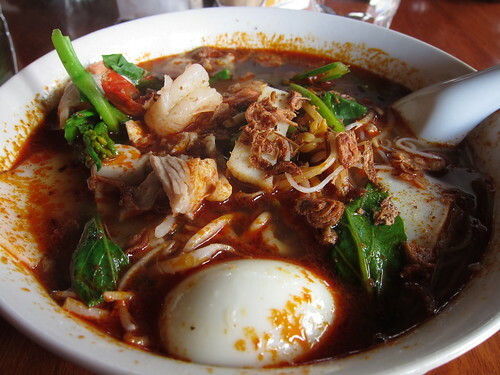 Bad comparison but now I feel like visiting Malaysian again. We ordered a dozen Chicken and Beef satay for $16 and this again leans on the pricier side and the portions also seemed quite small but the sauce and flavour makes up for it. I really liked the satay sauce, it was spicy, and just sweet enough but I found it to be different to satay sauces I’ve had. It was nutty but didn’t seem to have that overwhelming peanut taste to it. If you ever venture towards Dandenong Market there is this fantastic satay shop near the Fish and Meat area, it has the best tasting satay sauce and chicken/beef satays at a reasonable price. You can buy them cooked, or uncooked (refrigerated or frozen). Really good. I found the chicken satays to be the better of the two, having a more robust grilled flavour but still being able to taste the chicken. That’s not to say the beef wasn’t good either, but it certainly seemed a bit tougher in comparison. I always jump at the chance to order Murtabak because it seems so rare around these parts, well, it’s certainly getting more popular so that’s a plus. 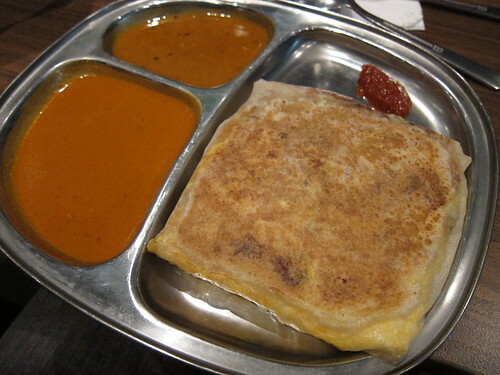 I prefer the Lamb Murtabak due to the flavour of lamb oozing through the roti makes it usually a marvellous dish. What I liked about Mamak’s Murtabak is that they stuffed the roti full of cooked lamb, onions, cabbage and egg. The filling was cooked perfectly and I could have eaten it all day. The only downside of having a thicker filling is that the roti served was on the soft side. I like my Murtabak roti crispy and this was nowhere near that, sadly. Probably the best Murtabak I’ve eaten in Victoria is still Taste of Singapore. The curry sauce provided was surprisingly good, it was spicy and just creamy enough. Only con was that it was served just warm, and after tucking into the Murtabak, it was basically cold! The spicy sambal as commented on above complemented the roti well, I only wish there was more. 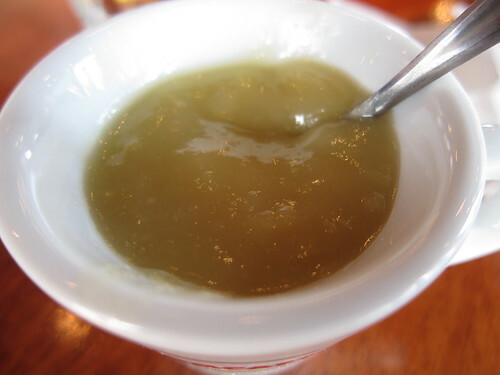 The other curry accompaniment which I can never remember the name of, but is always served with Roti, is as what you’d find in any other Malaysian restaurant. I don’t tend to have too much of it, but a small amount of this is always nice to have with freshly made roti or Murtabak. The only other downside is that you have to wait 15 or so minutes. I guess it’s great that it’s made to order though. 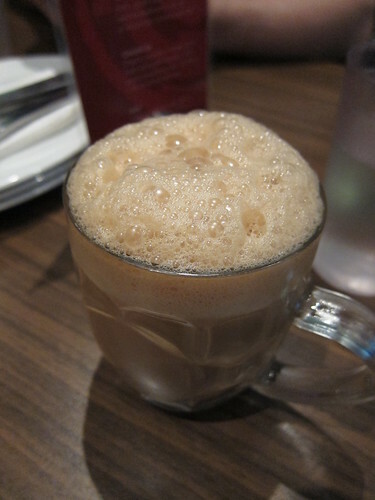 You can’t go to a Malaysian restaurant without trying their Teh Tarik. 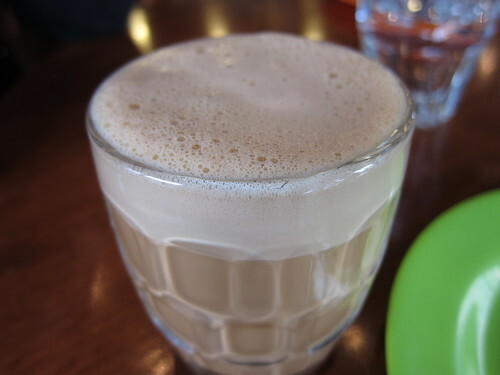 I though Mamak’s Teh Tarik was on the sweet side but not probably not bad enough to think of your poor teeth straight away. 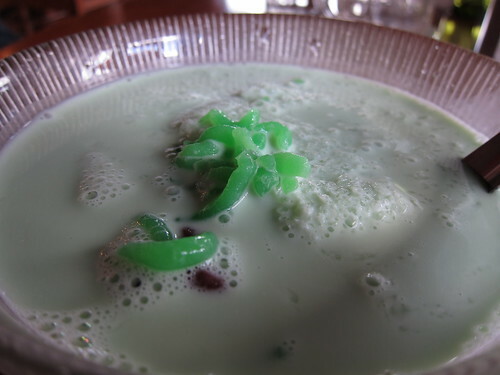 I would also liked if it had more “tea” taste to it but other than that, I wouldn’t mind ordering it again. It was only $3.50 so it didn’t seem so scandalous. 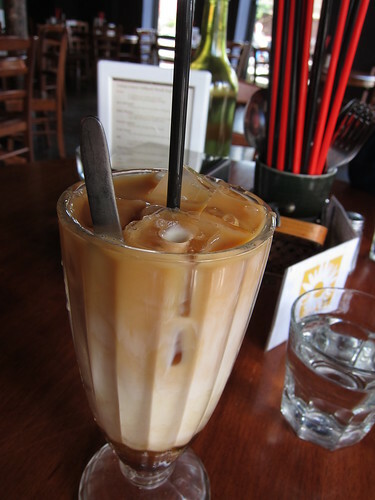 I remember ordering a Teh Tarik at the now closed Malaysian restaurant in QV (Before PappaRich) and that was served in this puny tea cup for two or so sips. 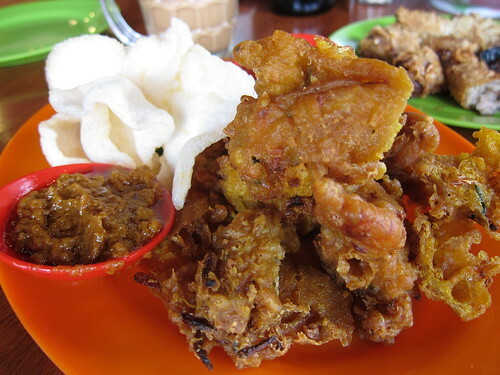 What I like about Mamak is they focus on Roti and Satays, some of my favourite kinds of food. It is a bit disappointing their menu doesn’t have that much variety but I guess in terms of mamak style food, this is what they usually offer. 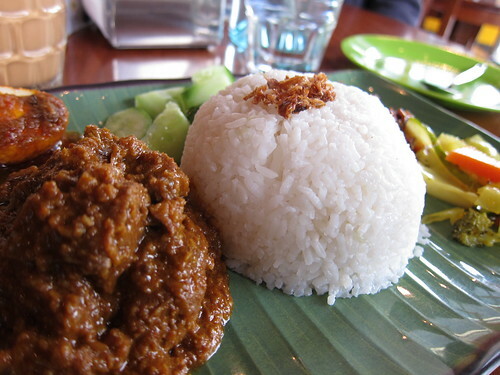 Their sambal is a delight in both their Nasi Lemak and the Murtabak. 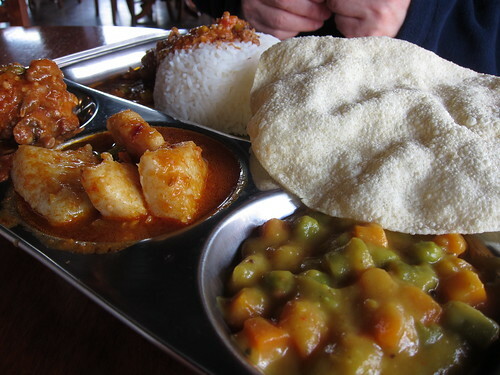 You can see why people are coming back for more and I can’t say no to more mamak style restaurants in Melbourne. The majority of the food is tasty, and cooked with though. 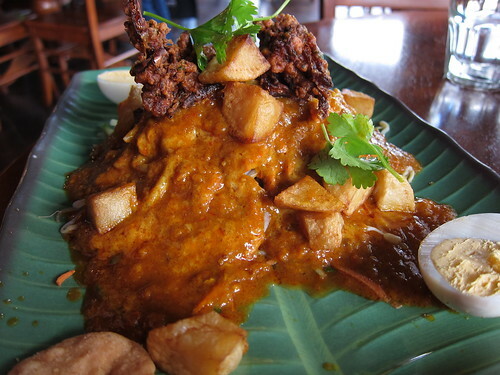 If you’re in the CBD and want Malaysian Mamak food, you’d be hard pressed to find a better one. Although for more variety, ChilliPadi in Flemington I feel offers better bang-for-your-buck but YMMV. This is going to be a historical post since the two Old Town Kopitiam restaurants in Melbourne have now closed. 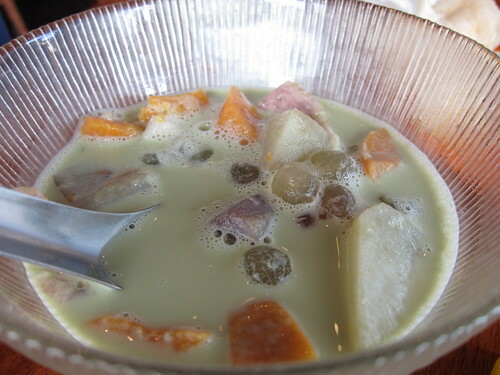 Their China Town location is now a Hong Kong/Taiwanese Dessert House, and their QV location is now a PappaRich store. I believe PappaRich is a cafe/restaurant offshoot of PappaRoti, and they are also opening a store in Chadstone. I wasn’t too fond of Old Town Kopitiam, I found the food to be a little lacking and average, but their drinks menu was quite interesting. I can see why these two stores have closed though, even the appeal of Mamak food in the QV store wasn’t enough to interest most people. Most of the food was expensive for the serving size, I did enjoy their Char Koay Kak. 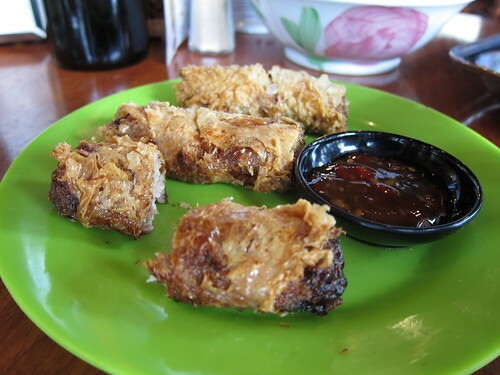 I must say, it probably was one of the best dishes on the menu, and you couldn’t really find it anywhere else. 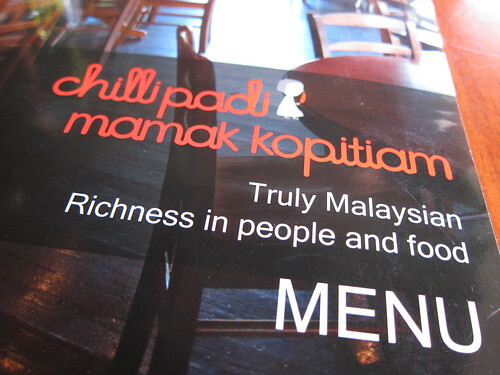 The rest of the menu, apart from their Nasi Kandar was bland and at times strange. 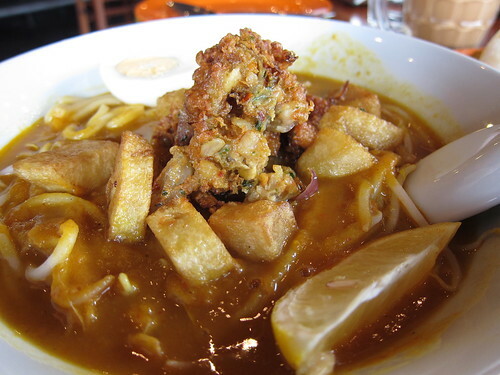 For example, their Curry Laksa (Pictured above) was so strange and unpleasant to eat. 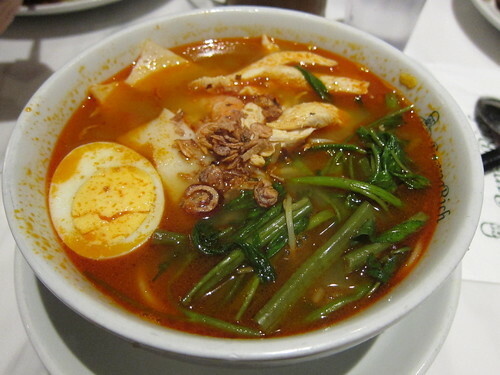 The curry soup base had a really odd taste to it, it’s slightly spicy but there is no creaminess or much flavour to it. For added taste they add in curry leaves, by the bucketload! Eating their food actually takes effort. I know this may sound like a whining blog post, but on most occasions the above experiences was really what it was like eating there. 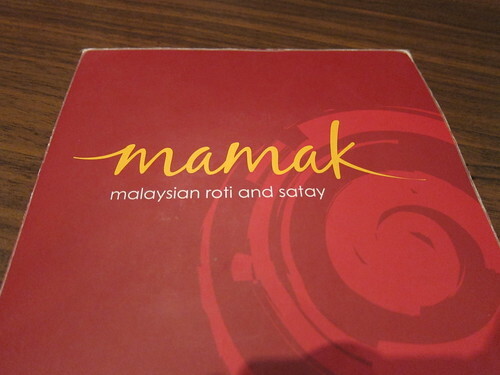 There were a few plus sides as mentioned above, but overall is really was a disappointing Malaysian eatery. I haven’t tried PappaRich yet, but every time I want to go eat there, it’s full!